Immigrants in the U.S, both documented and undocumented, often face a number of challenges after they arrive from their homelands, and many of those problems need a lawyer. The Albany Law School has announced that beginning in the fall semester, students will be involved in a new immigration law clinic. 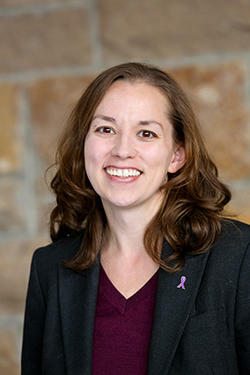 Associate professor of law Sarah Rogerson is the director of the clinic. A lot can happen in one year's time. The three Democrats were voted into office during a time when women in politics were making gains nationally. Each has her own unique governing style: each had a picture of what the year ahead might bring. Each reflects on what was hoped for versus what happened. Alicia Ouellette earned a law degree in 1994 from Albany Law School, and then began a career that included private practice, a stint as a Court of Appeals clerk and as Assistant Solicitor General in the New York Attorney General’s Office. As part of the case, the court will decide if a U.S. air marshal can be protected under the Whistle Blower Protection act after sharing information about the service to the press. There’s a change atop Albany Law School. The President and Dean of Albany Law School is stepping down. Penny Andrews made the announcement Tuesday; she'll stay on through the end of the 2014-15 school year and is expected to aid in the strategic plan for the college's future. Andrews did not elaborate. Professor Alicia Ouellette, former associate dean for Academic Affairs and Intellectual Life, will serve as the interim dean. Albany Law School has taken the wraps off what it calls an "Innovative Strategic Plan to Prepare the Next Generation of Lawyers and Leaders" - WAMC's Capital Region Bureau Chief Dave Lucas sat down with school president and dean Penelope Andrews.